Mickey O’Barr, 83, of Mesa, passed away Thursday, August 24, 2017. Mickey was born October 30, 1933 in Jackson, Mississippi, the youngest daughter of John & Sue Kelso McNeil. Mickey graduated Salutatorian from Sidney Lanier High School in 1951 in Montgomery, Alabama. 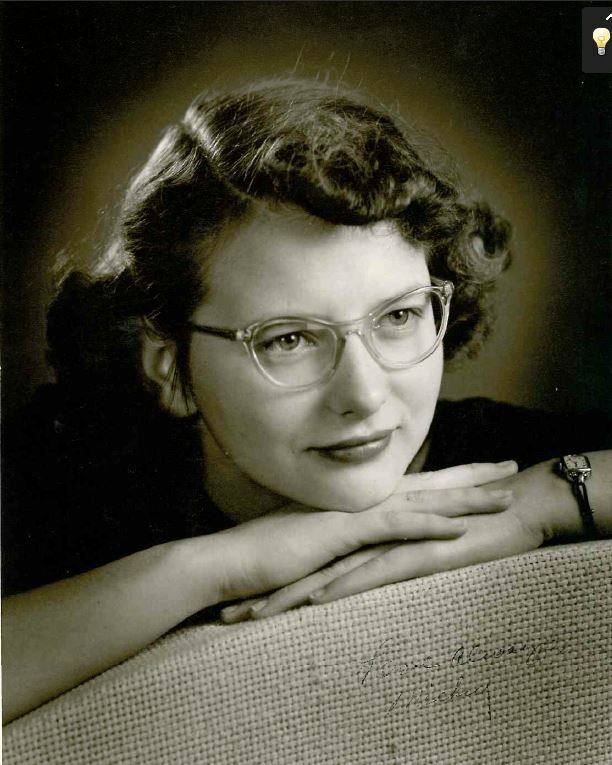 She then moved to Washington, D.C. where she worked as a secretary at the Pentagon for the Navy. She moved to Mesa in 1953 and began working as a secretary at the University of Arizona experimental farm on West Main Street in Mesa. She met Joseph O’Barr at an LDS dance at the Mezona. 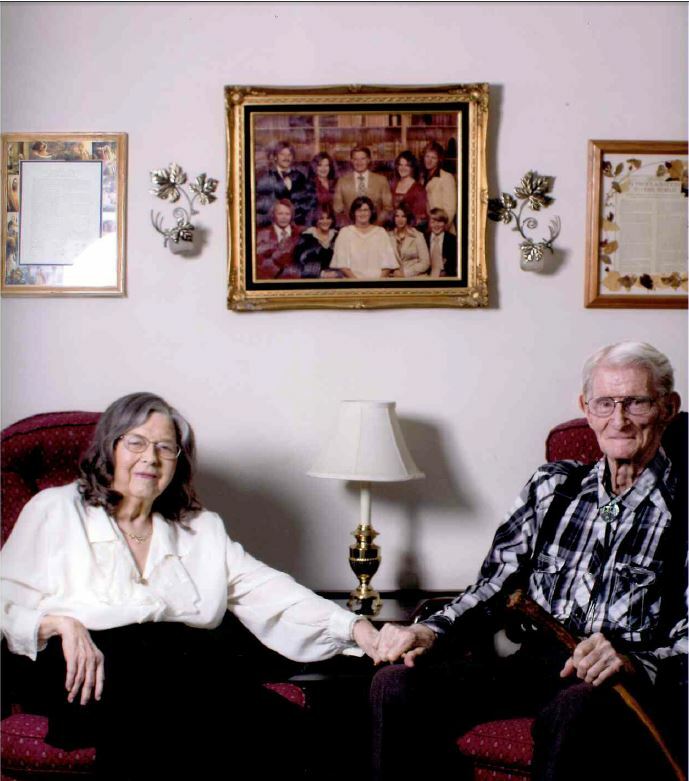 They were married in the Mesa LDS Temple in November 1954, and had seven children. While raising their children, Mickey & Joe established a successful electrical contracting company, O’Barr Electric, with Mickey managing the office and keeping the books. Mickey had a beautiful singing voice and shared her talent often. In the early 1980s, she, along with Joe and their daughter Becky were some of the first members of the Arizona Mormon Choir. Also in the early 1980s, Mickey attended Mesa Community College with 2 of her daughters, Becky and Martha. Performing in opera productions at the school with Becky. She obtained an AA from MCC, graduating Valedictorian. In 1989-90 Mickey & Joe served a mission for the LDS Church to Davenport, Iowa where they made many lifelong friends. Upon returning from their mission, Mickey worked as a compliance officer for the Arizona Department of Revenue, retiring in the mid-2000s. Mickey served faithfully in many Church callings, supported her husband and children in all their activities and opened her door to others. Survivors include her loving husband of nearly 63 years, Joe; children: daughter-in-law Debbie O’Barr, Rebecca & Eddie Salib, Kevin & Sabrina O’Barr, Brian & Jana O’Barr, Cathy & Jimmy Coulter, Martha Morgan, Mark & Laura O’Barr; special nieces Charlotte McNeil Wallis (Stan) & Sally McNeil Baker (Jason) who joined the family after the passing of their father; and many foster children; 35 grandchildren, 47 great-grandchildren. She was preceded in March 2017 by her oldest son Michael; also preceded by her parents; brother, John Roger McNeil; sister, Marion McKean. Funeral services will be held Friday, September 1, 2017, at 10 AM, preceded by a visitation at 9 AM, at the LDS Chapel located at 2334 E. Pueblo Avenue, Mesa, Arizona. I extend my condolences to the grieving family. May there be many happy memories to help with your pain. You are not alone . Please be assured that there is comfort in the beautiful loving words at Isaiah 41:10 . Honored to have known such a fine person. Delighted to still get to associate with some or her wonderful descendants. My condolences on the loss of a wonderful person a mother a daughter a sister but we will meet again sometime I’m so sorry my love and prayers are with you all . Oh dear Becky and all! My heart feels heavy for your loss. I love you honey. Hugs from home. You have always been such an amazing support for me. I guess you learned from an expert giver. I send my love and sincere concern in the passing of Mickie. She was a very good friend and the world seems empty without her here. We can all hold on to the good memories and keep her in your hearts. Mickie has always held a special place in my heart. I was her Visiting Teacher for many years but always felt I gleaned more from her than I ever taught her. She will be truly missed by many. Her kindness, love for all, and service to many is that of our Savior. Thank you for being my friend Mickie and Martha. She will be missed. I have so many fun memories of all of us on Dana growing up together! Prayers for peace for you all. Cathy, my sweet friend. Your mom is a special person. Sassy like you! I love you, my sister. I owe a great deal of my happiness to this lady, and to Joe. As missionaries, they visited me every week for seven months, baptized me, and Mickey started the ball rolling to get me introunced to my eternal companion. Condolences to her family and friends; she is missed. Sorry to hear about the passing of your mother. Our prayers are with you and your family but you know families will be together forever. I knew your Dad Joe from working at the Family History Center, also met and felt like I knew your Mother Micky. She did some on line work with another Orva Jeanne Cluff who passed away about 2 weeks ago. They both were volanters on the help line for Family Search. There talents will be welcomed in the next world. Sorrow goes out for my friend Joe.